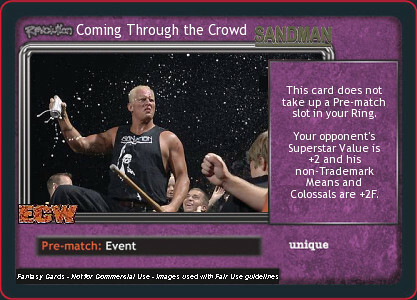 2008 Raw Deal World Champion | Team "Ya Got Me"
Creed, do you have any insight at all as to "wtf Barron et al were thinking" when they released Revolution John Cena? 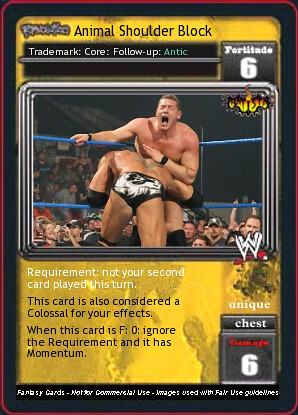 Did they purposely give Cena an awful ability as an inside joke? 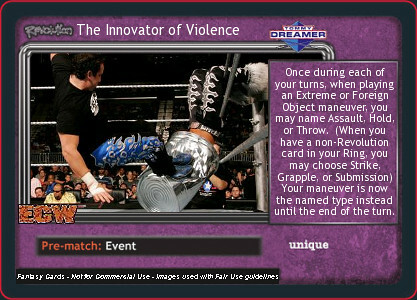 Is there some secret t3ch that I'm not seeing that makes R:Cena teh uber in Revolution? You're not missing anything. 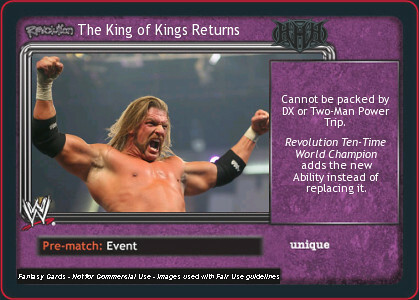 He was bottom tier since Revolution Set 1. Creed's idiocy and lack of reading skills aside, it's what Barone says. Right. So my question remains: OMFG why lolz??? Revolution was supposed to be a fresh start to the game and the creators were supposed to have learned a few lessons about game balance from the years they spent developing classic. And then they decided to print R:John Cena. WHYYY??? MENDOZAAAAAA!!!! I just noticed this Is Air Sabu suppose to be an Assault? 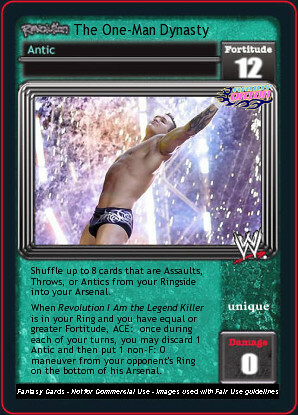 revo cena isnt that bad :p especially now that the ability adds. There's a hold i think that bounces back to hand when something happens, so he gets that in hand, ditches it, does whatever to get it back, repeat. In normal revo thats pretty good since its basically once a move goes through you pour on the attack. 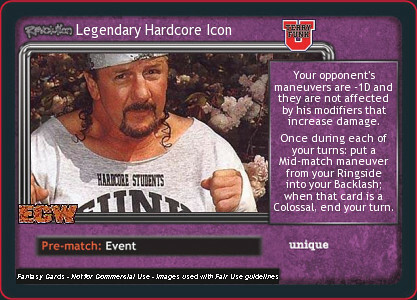 As for Classic, that works rather well with original Cena as he can recoup his hand after using his base ability. Well obviously he's not that bad now with Creed's new "My Time Is Now." 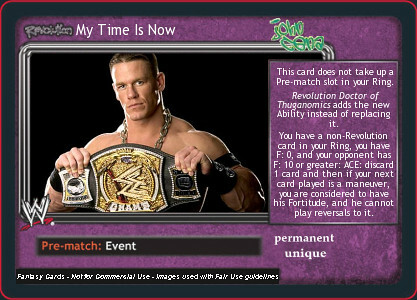 I was referring to R:John Cena as he existed in the Revo 1, Revo 2, and Revo 3 environments. 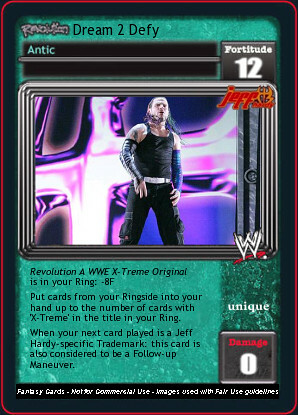 There was a Hold in Revo 2 where you could allow your opponent to draw 2 such that you can put it back into your hand from the Ringside. 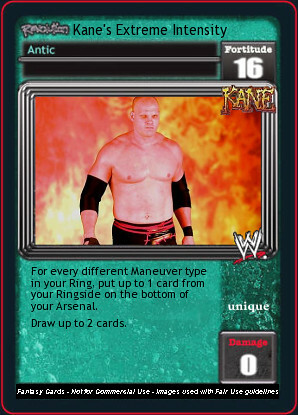 That was the only card that had any real synergy with R: Cena that I could find (at least in the Revo 1 and 2 environment...I kinda stopped paying attention when R3 came out *shudder*). 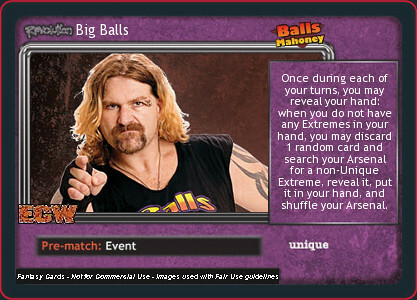 But in any case, that card alone wasn't enough to build an entire deck around. 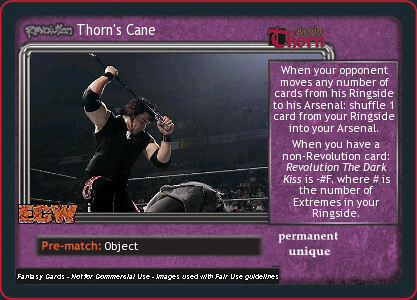 Plus that came out in Revo 2...Cena had absolutely NOTHING in Revo 1. So... I got home, saw this conversation happen for the third time in the spoiler process, and realized that having it because of sticking to old templating goes against the ideals of this project. 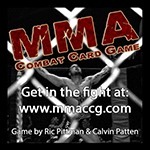 The word "When" was added, the card was re-uploaded and the image replaced. Hopefully this clears up the whole thing, and shame on me for not doing it in the first place, heh. I might be able to shed some insight on this one. 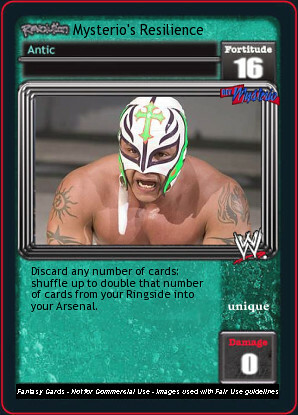 If I recall correctly, during most of testing, the original Revo Cena proved to be balanced, but then somewhere close to the last minute he turned out to be broken in some abstract way, necessitating a late-game ability change. But that's just from memory. This was many years ago. We'll long be laughing after you are dead. 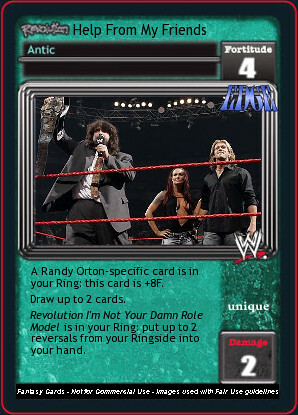 Hmmm...is having an Orton card in the ring supposed to help or hinder Help from My Friends? 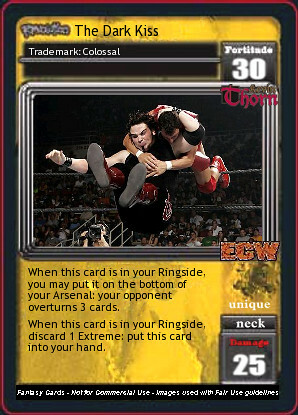 Seeing as Rated RKO has been around, I'd think it would help, but it's currently saying "+8 F" in the card. 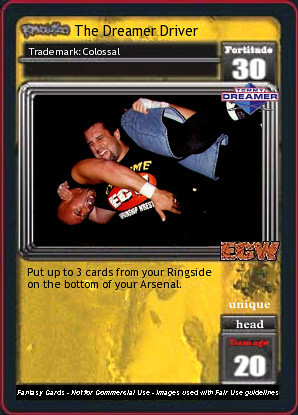 "eff it, I'm RVD, this will work, let's go." --RVD, just before his appearance on RAW 15. Meanwhile, off to start Wave 14! Oh, okay, I dig it now.